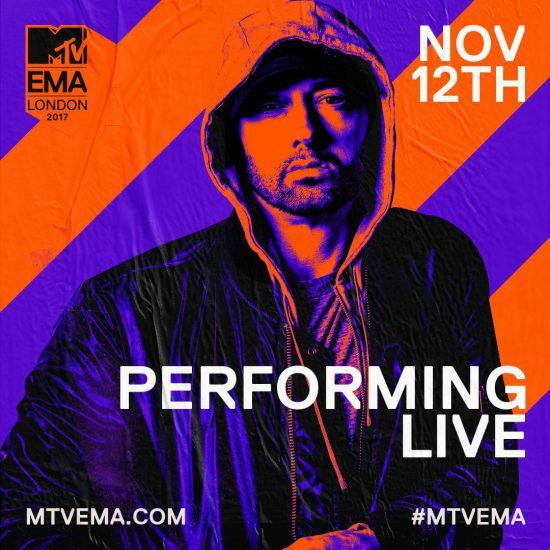 Eminem’s long-awaited comeback is finally happening this weekend at the 2017 EMA in London! The notorious Rap God will be performing his new single “Walk On Water” live for the first time on Sunday night. It’s been four years since Eminem performed “Berzerk” and “Rap God” and was honored with the Global Icon Award at the 2013 EMA.